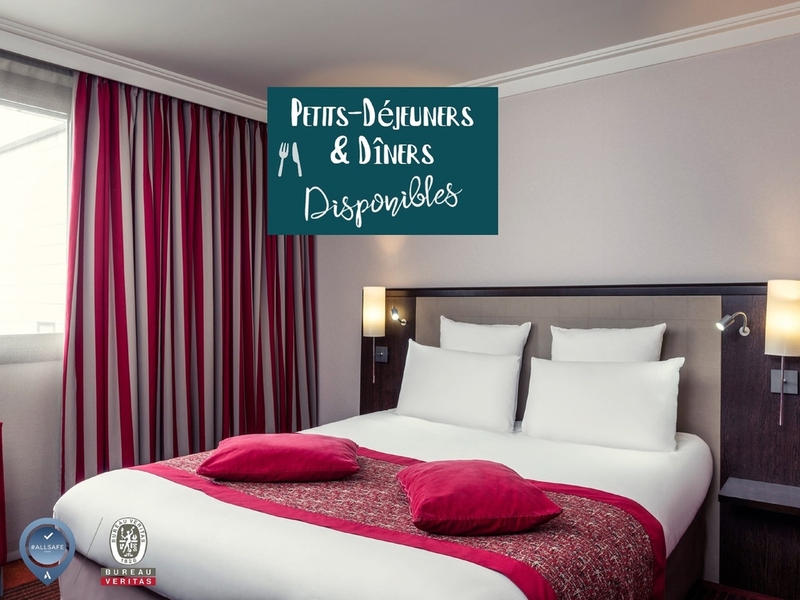 Right in the middle of La Défense and just next to the RER station, the Hôtel & Résidence Mercure Paris La Défense Grand Arche is ideal to explore the city centre and the areas round about. And in 10 minutes you can be strolling along the Champs-Elysées. Free shuttles to the headquarters of companies such as Bouygues, Val St Quentin, etc. Choose from our modern and inviting Standard and Privilege Rooms for your business travel, family vacations or romantic getaways. when we pay such a price, we expect more quality and a better experience. As usual staff in this hotel is so helpful,kind and fantastic providing me feel to be at home! Personell was very friendly. The hotel was near our office. but the rooms are small, low ceiling and red... why so much red? I didn´t feel comfortable there. Thereby was the room very dark. Super friendly people in there. I always feel welcome... even if it is/was a business trip - it feels a bit like coming home. Very good, easy check-in, great room. Good welcome. Rooms are clean. Personnel is taking care of your particular constraints (early checking-in, early departure,...). Very dedicated team. The only issue is about parking with very small spaces and difficult access. I hope nit to return. Room was extremely small, toilet ridiculously so. Facilities were not open on my arrival on Suynday evening so couldnt get anything to eat. Choice in restaurant extremely limited. Very expensive for service received. Friendly welcoming staff. Gold member status was automatically rewarded with room type upgrade and welcome drink voucher. Clean but rather small and silent rooms. at 50 meters from the railway station exit (convenient while traveling with public transport) but no noise from the trains. Room was OK. Breakfast was good. I would have liked a proper chair at the desk instead of a small cube to sit on. It made my back hurt. Due to business activity I.ve been there again and as usual a perfect night with the team offering high quality assistance. Being beside the train station made the journey from the airport very simple. A great hotel, conveniently located for visiting Le Golf National. Stayed at the hotel during the recent 'Ryder Cup'. The hotel was perfectly placed for a short transfer to 'Le Golf National' and sufficiently central with plenty of bars and restaurants, just a short walk from the train station. The staff were extremely pleasant and helpful and I would recommend the hotel to anyone considering visiting the area. Met all my needs adequately. Overnight business stay. Room was adequate although shower should have been fixed to the wall and located higher. Cost was high for the standard of room. The service levels were very good. Underground parking was a bonus.......but very tight entry / exit to the space. Air Conditioning was not working in my room and night time temp was in mid 20's which made the room uncomfortable. Satisfactory. I just find the food at the Bistrot of the hotel a bit overpriced for what you get. I felt like at home! Please improve the evening dinner choices: the same 3 suggestions and a steak for a whole week is a bit short. Very nice hotel, location is great for people to have any business in that area. Not much to say only one night, and it is nice and clean.